Often may happen your PC to run a little slower than usual. Don’t worry, it is nothing serious. You’ve probably installed some software that delayed the boot time. 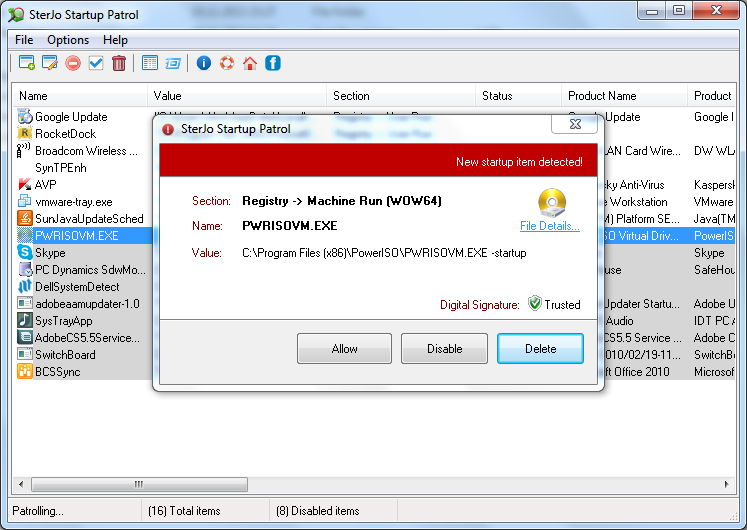 SterJo Startup Patrol allows you to view those files and disable them. This way you can optimize the Windows startup time but be careful not to disable some crucial programs you are using. By blocking those unneeded files the system will definitely run faster and smoother. LJConfig 1.1 allows you to easily modify the settings of supported HP LaserJet printers from your desktop across any sort of printer connection.